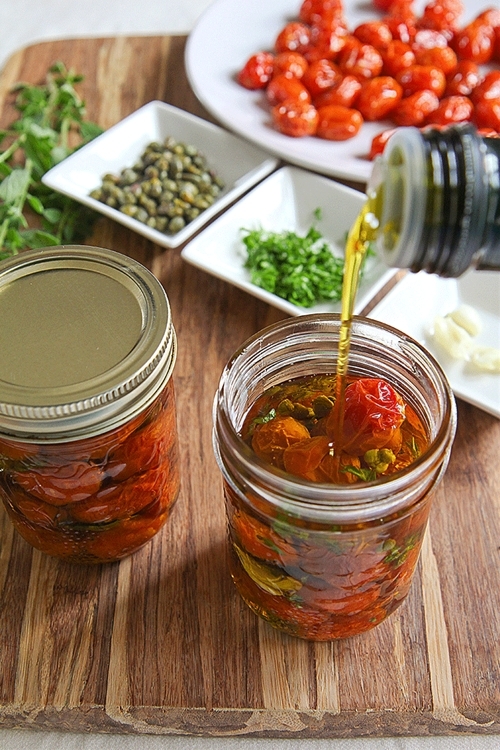 Cherry tomatoes in the oven in olive oil are both excellent for pasta, risottos, salads, and also to eat during an aperitif, with olives, cold cuts and cheese. They can be flavored with many herbs and scents: In this recipe I have prepared some with fresh oregano, and others with garlic, capers and parsley. Try to make them too, you will sense the taste after a few weeks of storage in the dark!